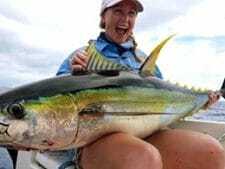 A lot can be said about big NZ yellowtail kingfish, these cool water torpedoes are in league of their own, Australian and international anglers are crossing the ditch to experience this sensational fishery. A fair bit of interest is now on topwater stickbaits as a great technique to pursue them. But it’s not always that easy! Understanding NZ kingfish, movements and the best methods to catch them often makes the difference between a great days fishing and plain hard work. No one knows this better than Ocean Blue’s NZ skipper Mark Armistead, who has individually pioneered NZ kingfish on topwater. 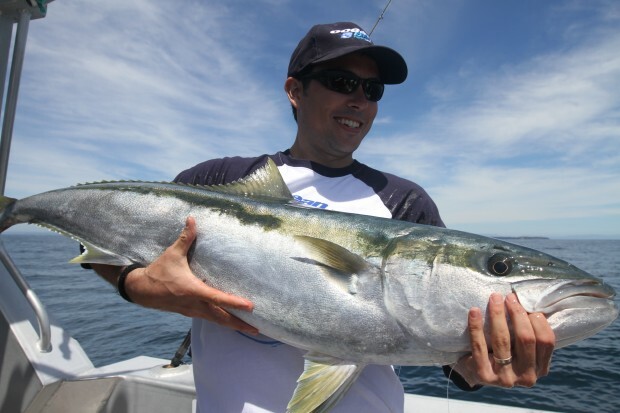 Tauranga is the location for anglers wanting to experience big kingfish, as Ocean Blue’s David Noble, Modern Fishing’s Jack Scrine and a few OB Club mates discovered last November. The guys had a great adventure and Jack’s article “The Lord of the Kings” can be viewed here. The group managed good fish each day and under Mark’s direction, each angler improved throughout the week – and their catch rate showed! 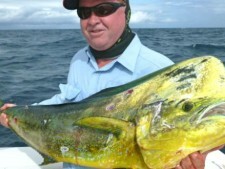 This skipper profile doco has some valuable tips not to be missed, aswell as some insane NZ topwater kingfish footage.